Grammy award-winning singer-songwriter KANDI BURRUSS is pleased to announce that her new single, “STAY PRAYED UP,” is the No. 1 song on iTunes gospel chart. 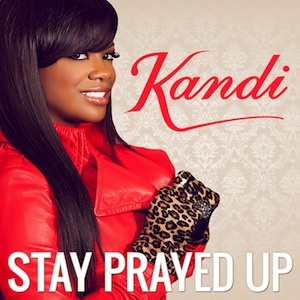 With “Stay Prayed Up,” Kandi brings to the masses an encouraging song that promises a glimmer of light for a world that needs it.